Subject to stock availability. New customers only. expire after 1 month unless otherwise stated. Plan excludes Premium Services, 1223, & 1225 directory services, 123 Ask-Us-Anything, International Roaming, content purchases, call screen and charges for additional data and additional standard international calls. 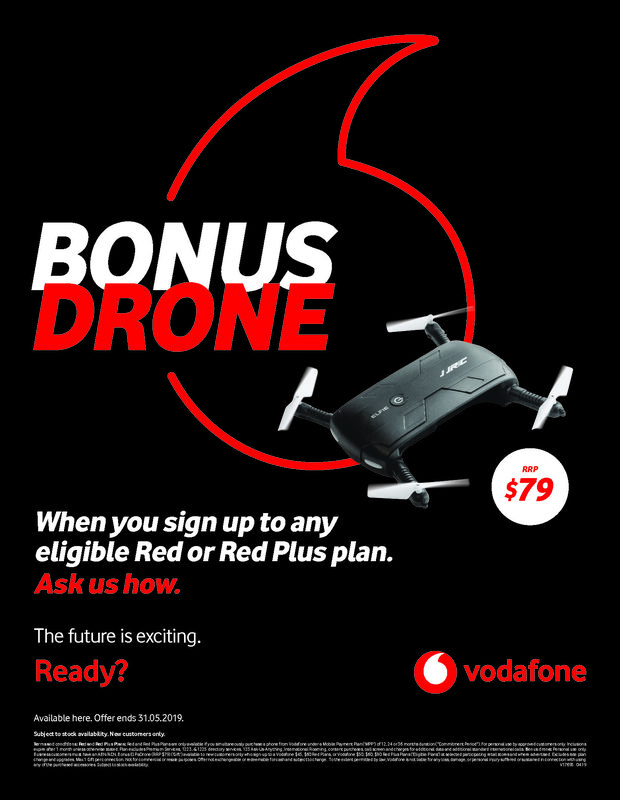 Bonus drone: Personal use only. “Our dedicated team at Smart Phones Hospital specializes in fixing all Smart Phones & Tablets! Come visit our friendly staff for all your phone repair needs. From screen repairs, water treatment, data rescues, unlocking and pretty much anything else you can think of, we do it all! We can get most repairs done on the same day, and we always maintain affordable, competitive prices on all repairs!